While there’s really not a bad time to visit Orlando, there are few key celebrations around the year that the parks here do really well. Thanksgiving means the ‘holiday season’ that includes Christmas starts in November at Disney, with special seasonal shows and events, including Magic Kingdom’s ‘Mickey’s Very Merry Christmas Party’. Meanwhile, over at Universal the Macy’s Holiday Parade is a candy cane colour explosion guaranteed to lighten even the darkest of moods. New Year’s Eve is a time for spectacular events all round, with incredible fireworks displays at most of the major parks. 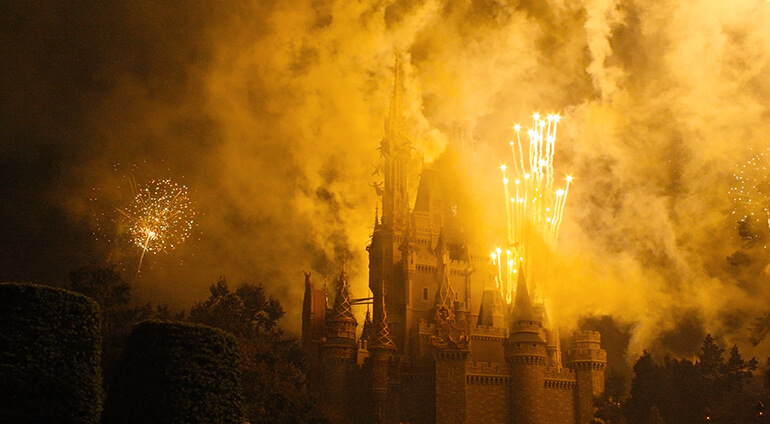 Get a spot to see the display by the Magic Kingdom’s Cinderella castle or over the Epcot lake for the best views at Walt Disney World or head to Universal Studios for the Cinematic Spectacular display. Spring sees the Springtime parade at Disney and Mardi Gras at Universal and for anyone feeling brave Universal’s Halloween Horror nights, which take pace throughout October, are truly terrifying.